Everyone knows about the side-effects of smoking. But, this new study will shock you! Yes, you have heard it right! The researchers have discovered that e-cigarettes containing flavourings can wreck your lung health. Here, we decode the findings of the study. Flavourings in e-cigarettes harm the lungs by causing inflammation, observed the Greek researchers. Experiments, which were conducted on mice, revealed that even in the short term, the inflammation caused was similar to or worse than those conventional cigarettes which people smoke. According to Dr Constantinos Glynos, reportedly, The detrimental effects which were observed in the lung upon e-cigarette vapour exposure in animal models emphasize on the need for further investigation of safety and toxicity of the rapidly expanding devices around the world. Reportedly, the experiment was conducted on the different groups’ mice by exposing them to cigarette smoke, various e-cig vapours or clean air four times every day, along with every session separated by 30-minutes of smoke-free intervals. 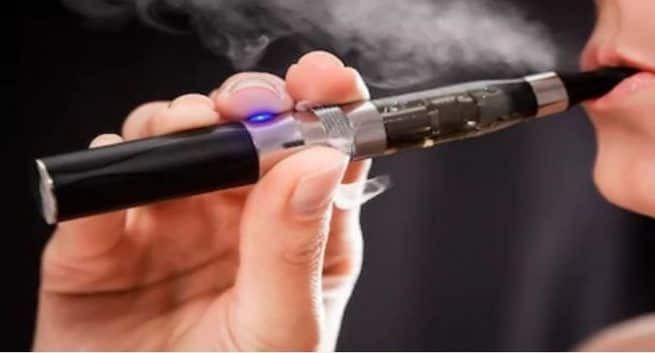 According to the findings which were published in the American Journal of Physiology, showed that e-cigs and refills are not well regulated and their long-term effects on health are unknown. Reportedly, e-cigs are being advertised as a less harmful nicotine delivery system. But the findings suggest that exposure to e-cig vapour can cause inflammatory responses and it can take a toll on your respiratory health. According to Glynos, e-cig vaping (inhale and exhale the vapour produced by an electronic cigarette or similar device). So, vaping is dangerous. University of Birmingham scientists examined cells from lung samples of healthy non-smokers and for 24 hours, exposed them to e-cig fluid, condensed vapour or nothing. Reportedly, exposure to the vapour increased cell death and the production of inflammatory chemicals was also increased. Reportedly, vaping can cause lung disease, it can keep people hooked on nicotine, or vaping can also act as a route into smoking for kids. Hence, it is harmful.